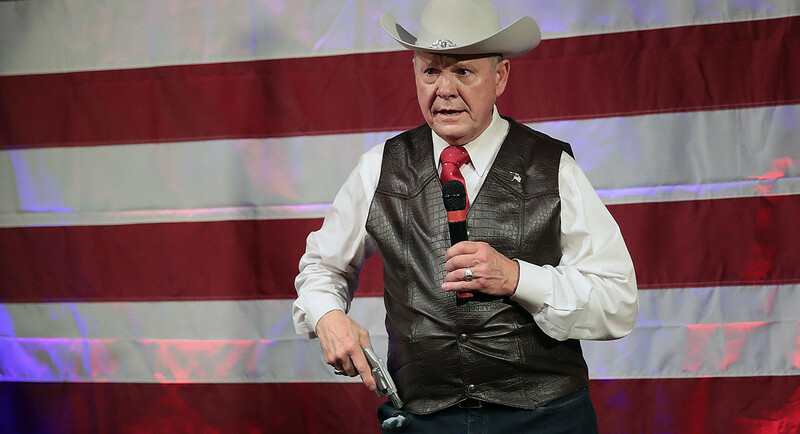 The Alabama race is the latest contest forcing both parties to take seriously candidates they once might have dismissed as unelectable. Early in 2016, several prominent Democrats exulted in Donald Trump’s meteoric rise, urging fellow liberals to support his nomination on the grounds that it would virtually guarantee a Republican defeat. Then he won the election. Some Democrats similarly cheered Moore’s ascent, arguing that he’d be easier to take down in the December general election. But others are alarmed by the prospect of a Trump-inspired bloc in the Senate. I love how these people live in an alternate universe. Trump never bragged about assaulting women or made fun of disabled people, and you have to be a moron, a cultist or a liar to repeat this dead horse. Or all three, a journalist.